Global Fund, as the 21st century partnership-based financing organization designed to accelerate the end of HIV/AIDS, tuberculosis and malaria as epidemics, is indeed contributing its fair share for the global health and wellbeing of millions of people. As Ethiopia is one of the top recipients of support from the Global Fund, there is no doubt that many poor patients have benefited irrespective of the level of corruption and misappropriation of funds on the part of the ruling regime. The country has received over $2 billion from 2002 to 2016, as per the report of the Global Fund itself. But the regime in power misused and misappropriated much of this money by manipulating and taking advantage of Global Fund’s good-intentioned principle called ‘Country ownership’ — at the heart of which is the golden idea that people determine their own solutions in fighting the diseases affecting their health, and take full responsibility for them. However, the regime in Ethiopia has effectively manipulated this principle to use global fund resources for its own political end goals. The 2015 audit report of the office of the general inspector of the Global Fund itself briefly touched up on these problems. • Inadequate Principal Recipient Reporting and Compliance. To illustrate the report’s important point on diversion of resources for wrong purposes, there is no better example than drawing your kind attention to a recent case in the city of Ambo, where the regime deployed its brutal security forces using the vehicles obtained by the Ministry of Health using foreign funding such to crack down on anti-government protesters who were on the streets protesting a newly introduced tax hike. As a result, the protesters have torched one of the vehicles in mid-June but the regime continued using these vehicles to transport its security agents. Several evidences show that these vehicles which the tyrant regime in Ethiopia is using to transport its security forces to kill protesters, were procured by the Global Fund grants. The Global Fund secretariat should therefore reconsider and submit to rigorous scrutiny its partnership with the corrupt and repressive regime of Ethiopia. Financial supports from the Global Fund should not be used to enable the repressive security structures of the regime that kills its own citizens but to help the needy people of the country. To this end, the Global Fund has not only the moral responsibility but also the legal duty to make sure that all its financial supports to the regime are used solely for their intended purposes. We are therefore kindly requesting the Board Directors of the Global Fund to undertake the necessary investigations on the misuse, misappropriation and diversion of resources that the regime in Ethiopia receives as grants from the Global Fund. The cruel Fascist Ethiopia’s regime (TPLF) is killing Oromo children on daily basis. Since 6 August 2016, over 25,000 Oromo nationals of all walks of life have been in military concentrations/torture camps. The figure is rising daily. This figure does not include the over 50,000 detained before 6 August 2016. Targeted killing continues across Oromia. This is Galataa Admaasuu, a young man of age 19. He was returning home after watching a soccer game at a cafe in the evening of August 19, 2016 when the regime’s force with sniper bullets hit him 3 times and killing him on spot in front of Dambi Dollo Hospital, in Qelam Wallaggaa. In the past few days we have been receiving several such targeted killing using snipers or by staging night time raid to homes. Kun Galataa Admaasuu dargaggeessa umri 19 kan galgala kaleessaa osoo kubbaa laalee galaa jiruu loltuun Wayyaanee rasaasan dhahee fuuldura Hospitaal Dambi Doollootti ajjeeseedha. Kun barataa kutaa sagal Marraa Hawaas kan hiriira Hagayya 6 bara 2016 Aanaa Fantaallee magaalaa Mataa-Haaraatti geggeeffame irratti nama 29 waliin qabamee mana hidhaa Mataa-Haaraatti dararamaa ture. Barataan kun kaleessa mana murtitti dhiyaannan umrii 16 waan ta’eef akka bayu manni murtii murteesse. Garuu, warri seeruma ofii baafattettuu hin bulle, ukkaamsitee bakka hin beekamne geessitee turte. Odeessi nu gahe akka ibsutti, yeroo ammaa mana hidhaa Martitti dararaan irra gayaa jira. kun Dr Alamuu Taaddasaa jedhama. Hojjetaa hospitaala Incinnitii, Hagayya 16 bara 2016 waree booda lukkulee wayyanetiin qabamee essa akka isa buusaan dhabnee jirra jedhan. Obsineet Baqalee, young Oromo woman, worker of Ethio telecom. Kidnapped on the Grand #OromoProtest, 06 August 2016 demonstration inFinfinnee, her whereabouts and health is unknown. Barataa Jamaal Abdalla Aadam jedhama. Jiraataa Harargee Bahaa Aanaa Meettaa magaala Calaanqooti. Barataan kun qoruumsa kutaa 12ffaa qaphxii 467 kan fide yoo ta’uu, qaphxii isaa ille arkuu hin dandenye. Eega gaafa hiriira guddicha hagayya 6 irraa qabamee qeerroo baayyee waliin gara magaalaa qullubbii geeffame, achitti rakkisa jiran. KADIR MOHAMMAD ABDULLAA , Oromo national from East Haraghe, Gursum, Funyaan Hujubaa town in Oromia state kidnapped by Ethiopia’s regime fascist forces on 15 August 2016. His whereabuts is unknown. Godina harargee bahaa Aanaa gursum magaalaa Funyaan Hujubaa keessatti hiriira siitu kakaase jechuudhaan guyyaa Hagayya 15 bara 2016tti irraa kaasee hanga ammaatti achi buutee dhabneera maqaan isaa KADIR MOHAMMAD ABDULLAA jedhama. Mallicha Guyo, former lecturer at Dire Dawa University and currently a graduate student of Constitutional & Public Law at AAU is among the many peaceful demonstrators unlawfully detained during the Grand #OromoProtests, 6th of Augus 2016 in Finfinnee and still kept in regime’s secrete detention centres. Akkuma beekamufu hiiriiraa guddicha sanbata xiqqaa sani irratii namoota kumatamat lakkawaamu achii buute dhaban hamami hin jedhamu…namni maqaan isaa Malicha Guyyoo jedhamu kan barsiisa university Dire dawa tii damee seeraa barsiisuu amma MA university finfinnet constitutional and public law baracha Jiru achii buute isaa dhaban…..mee nama qoonqoo isaa qabu faa yoo argate inbox na godhii. jedhaman immoo mana hiidhaatii basanii essa akka isaan geessan hin beekamu! Uummanniis dararraa guddaa keessa jira! An Oromo national Taagal Daaqaa Waaqgaarii is among thousands of peaceful protesters who have been unlawfully detained by the TPLF security agents during the Grand #OromoProtests rally in the capital Finfinnee, on the 6th of Aug, 2016. It’s believed that Mr. Tagal & thousands of others unlawfully detained during these peaceful protests are currently being tortured at a Military Camp called Awash Arba, in the remote Afar regional state. The regime is torturing thousands to death in such a remote military barricades across the country. Oromo youth, Yaasiin Xaahaa, original from Jimma, kidnaped by fascist Ethiopia’s regime forces on August 6, 2016, Grand #OromoProtests Rally in Finfinnee. His whereabouts unknown. Suuraan asii gadii kun Yaasiin Xaahaa jedhama. 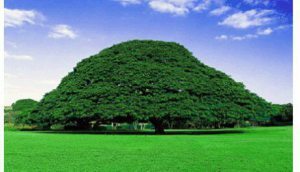 bakki dhaloota isaa Jimmaa dha hiriira guutuu Oromiyaa gaafa sanbataa xiqaa 6/8/2016 tahe irratti ganama Finfinnee nannawa istediyomatti diinaan qabamee tumamaa achi buteen isaa hanga ammaatti hin dhagahamne, oduu isaa wanta dhagahamee hin jiruu. Mucaayoon kun Doii Itana jedhamti, Hiriira guddicha Gaafa Sanbata tikka 6-8-2016ti Guutuu Oromiyaa irratti yeroo godaame akaa oduu naagayeeti Obboloyota isheefii hiriyoyota ishee wajjin hirmaattee,gaafaasuuma obboloyashee biraa qabamtee humnaa waraana wayyaneen (Agazi ) jedaamuun Ukkaafamtee eessa akka buutee hinbeekaamu. Giddiisaa Kuufataa, Oromo national from Dandi, Oromia, kidnapped by Agazi forces and his where about is unknown. Mo’iboon Baqqalaa was kidnapped by Fascist Ethiopia’s regime from Jimma University in 2014 and suffering in Qilinxoo torture camp. Kan suura armaan gadiitti argitan kun Mo’iboon Baqqalaa jedhama dhalootaan Wallagga bahaa aanaa Kiiramuu dha. bara 2014 mormii master pilaanii gaggeeffameen shakkamee Jimma university Qilinxootti dabarfame….murtii malees waggaa lama kan tahu erga hidhamee booda barana ji’a sadaasaa keessa lakkifame bahee beellama deddeebi’aa jira Finfinneetti. Achumaan alana beellama wiixata darbeef deemnaan Roobii darbetti dabarsan, ammas roobiirraa gara Jimaata har’aatti dabarsan. har’a dhaddacharratti yakkamaa dha jedhanii achumaan Qilinxootti dabarsan! Haadhoo ofii waaqni si waliin haa ta’u oromummaan yakka taate erga ta’ee! Oromo elder, kidnaped by Ethiopia’s fascist security forces after 6 August 2016 and his whereabout is unknown. Obbo Maammoo Gadaa eega guyyaa Hiriirri Magaala Adaamaatti godhamee booda wayyaaneen qabamee as buuteen isaa dhabame jedha odeeffannoon. Young Oromo national Akaaluu Mulugeetaa Olaanii, kidnaped by fascist Ethiopia’s regime forces on 6 August 2016 (Grand #OromoProtest) his whereabouts is unknown. Akaaluu Mulugeetaa Olaanii jedhama. Dargaggoo Oromoo hiriira Finfinnee Sanbata darbee (06/08/16) irratti warra achi buuteen isaanii dhabame keessaa tokko. This is Kebede Gemeda, a 70 year elder. He was arrested at the Grand Rally in Finfinne. He was beaten so badly that he lost one of his eye sight completely. 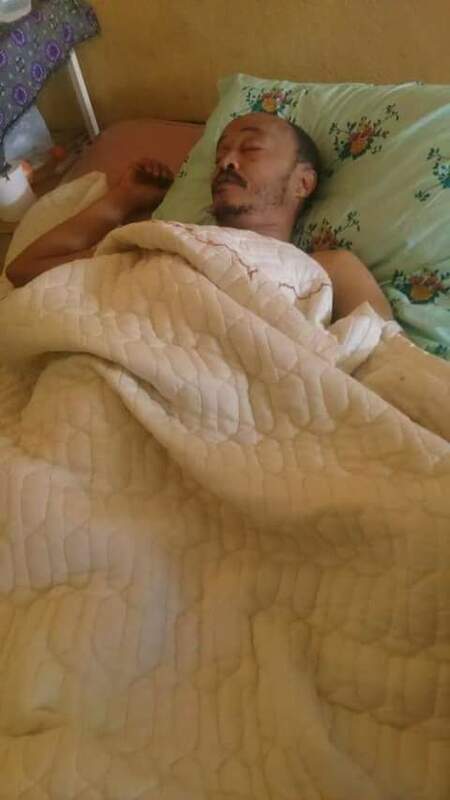 They thought he was dying so they took him out of the military camp and threw up near his house. Oromo national Jibriil Mohaammad, from Jimmaa Arjo shot four times at gun point by Agazi on 6 August 2016 at Grand #OromoProtests. Maqaan isaa Jibriil Mohaammad jedhama.Kaninni itti dhalatee guddate godina Wallagga bahaa aanaa Jimmaa Arjoo bakka gabaa Efrem jedhamu yemmuu ta’u ,hiriira yeroo darbee guutummaa oromiyaa keessatti finiinaa ooleen wal qabatee sababa gaaffii mirgaa gaafateef jecha rasaasaan qaama isaarraa bakka afur rukutamee yeroo ammaa kana hoospitaala naqamtee keessatti wallaanamaa akka jiru maddeen keenya ifa godhu. #Oromoprotests alert: The regime now using collage campus as concentration camp in addition to several military camps. For instance some 25000 protesters arrested in Hararge have been taken to Kombolcha Agricultural College. Their head has been shaved and they are crammed into classrooms in hundreds. NOTE: These colleges are mostly built and run by money donated from American and European tax payers. So tell your representatives. Jawar Mohammed, OMN reports, 20 August 2016. VOA Afaan Oromoo reports how fascist TPLF Ethiopia’s regime soldiers killed a man named Hora Wajiso in his own home and then imprisoned his wife with her infant child. Abbaa Warraa Ajjeesanii Haadha Warraa Immoo Daa’ima xiqqoo Waliin Hidhan. 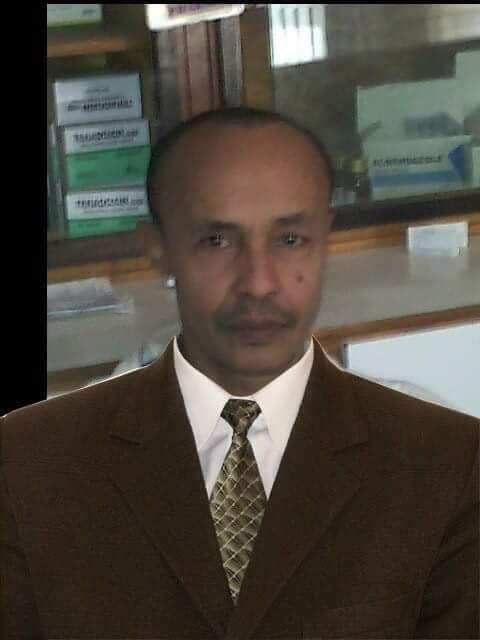 Dr Gabayyoo Jaallataa medical specialist in Naqamte, Oromia gunned down by fascist Ethiopia’s regime forces. Dr.Gabayyoo Jaallataa Waraana Wayyaanee Agaaziin Rukutamuun Wareegaman. Maqaan isaa Dr.Gabayyoo Jaallataa jedhama. Kaninni itti dhalatee guddate godina Wallaggaa lixaa aanaa Gullusoo jedhamtu keessatti. Ga’een hojii isaa Dookteerummaadhaan kilinika Abdii kan jedhamu magaalaa naqamtee keessaa naannoo Hoospitaala naqamteetti kan argamu keessatti ramadamee hojjechaa nama tureedha. Dr.Gabayyoo jaalataa xinnummaa isaa irraa ka’uun nama diinaaf harka hin laanne nama oromummaa isaatti boonee jiraatuu fi nama ilmaan oromoo akka lubbuu isaatti jaallatu keessaa nama tokko ture. Haata’u malee yeroo darbe hiriira guddicha magaalaa naqamtee keessatti akka abidda saafaa belbelaa ooleen wal qabatee sababii inni oromummaa isaa jaallatuuf jecha akkasumallee ati dhoksaadhaan qeerroo mana hojii itti ramadamtee hojjettu keessatti ol seensistee walla’aansa gochaafii jirta maqaa jedhuun humni agaazii guyyuma hiriira guddichaa sana bakkuma hojiisaatii deemanii rasaasa itti roobsanii deemanii jiru. Haa ta’u malee dr Gabayyoon yeroo sanaaf rukutamee hatattamaan gara hoospitaala naqamteetti ergamee yaaliin deddeebiin torban tokkoo oliif osooma godhamaafii jiruu hoomaayyuu fayyuu hin dadhabuurraan kan ka’e guyyaa har’aa jechuun Hagayya 15/08/2016 du’aan addunyaa kanarraa boqotee jira. Reeffi isaas gara bakka dhaloota isaa kan taate godina wallagga lixaa magaalaa gullusootti ergamee jira. Qabsa’aan du’us qabsoon itti fufa. on 15 August 2016 night, fascist Ethiopia’s regime Agazi soldiers broke into home of Hora Fajiso, and killed him on spot in Batu town, East Shawa. Bulchiinsa magaalaa Baatuu guyyaa 09/12/2008 halkaan sa’aati 10:00 ti Dargaggoo Hora Fajjisoo sababii meeshaa woraan qabda jedhuun marsaanii warranaa mana jirenyaa isaati itti banuun kan ajeesaan yoo ta’u akka ajeefamu kan haala mijessee obbo Kadir Gammada I/g W/ra Bulchiinsa fi Nagenyaa Magaalaa Baatuu ta’u bekkame jira ,dhukaasa godhameen Poolisii tokkoo yoo Ajefamuu tokko rukkutame jira. This is martyred Ahmadoo who was killed by TPLF Ethiopia’s regime fascist Agazi forces in Haramaayaa town, East Hararge on 6 August 2016, Grand #OromoProtests. May his soul rest in Peace! Kun wareegamaa keenya barataa Ahmadoo, kan hiriira guddaa Oromoo godina Harargee Bahaa, magaalaa Haramaayaa, keessatti Hagayya 6 bara 2016 waraana Wayyaaneen wareegame. Gootota Oromoo kumaatamaa wajjin nagaan nuuf boqodhu! Qabsoon hanga bilisummaatti itti fufa!! Rabbi lubbuu isaa haa qananiisu. Abduselam Ahmed, a succesful Oromo businessman in haramaya was assassinated by tplf fascit Ethiopias regime on 7 August 2016. The other victim on the protest held in Robe, Bale on the Grand #OromoProtests ‬ on 6 August 2016 was Zubeyr Kadir as you can see on the picture bellow! May he join Oromo martyrs in heaven!!! Zubeyr Kadir gunned down by Ethiopia’s regime fascist forces on 6 August 2016 in Robe Bale, Oromia. Namni lammaffaan hiriira guddicha magaalaa Roobee-Baaletti wareegame maqaan isaa Zubeyir Kadiir jedhama. Rabbi warra jannataa isaan haa taasisu! #OromoProtests, Must watch Al Jazeera new video News of August 20, 2016, Hundreds have been killed by agazi police forces during a peaceful demonstration across the country (Oromia, Ethiopia). Darajee Birbirsaa, Oromo national, civil engineering graduate kidnapped by fascist forces on 19 August 2016 and his where about is unknown. kuni darajee birbirsaa jedhama. bara 2015 wallaga university irra civil engineering dhan eebifame kan turee yoo tauu dalagaa male hanga ammaatti magaala Itayya godina arsi keessa turee haa tauu malee akka lakkobsa Habashaatti Hagayya 12 bara 2008 poolisi feedaralattin ergaa fudhatame booda eessa akka dhaqee hin beekamuana sirreessa aanaa fi goodinaa keesattis hin argamnee.isaa walii is namooni abdalla dasee jedhamuu fi muktar abdoo jedhamuu dhabanni jiraan. GodinaArsii Bahaa Aanaa Martii ganda Golagotaa keessaa nama Jundii Abboomsaa Badhaasoo jedhamu guyyaa dheengaddaa mana murtii irraa waraqaa fidanii mana isaatti seeraan sir barbaanna jedhaniinii ani Wayyaaneetti hin bulu reeffa kiyya malee jiraa kiyya asii na hin fuutan jedheenii gootummaan dura dhaabbate. Achii jaarsoliin fuudhanii magaalaa geessanii halkan kalee namoota 16 waliin halkan saa’aa 9 makiinaa lamaan fe’anii achi buuteen hin beekamne. obbo Jundii Abboomsaa Badhaasoo abbaa qabeenyaa lafa bishaan hektaara hedduu yoo ta’u, akkasumas eessuma wallisaa Ibroo Ibsaa; kan akka abbaatti guddisee asiin gahee hanga har’aatti gargaaree sirboota hedduu hojjisiise. Aman Aliyii Xaha, Oromo national was shot at gun point by fascsist Ethiopia’s regime forces on 6 August Grand #OromoProtests in Haramayaa and died on 20 August 2016. 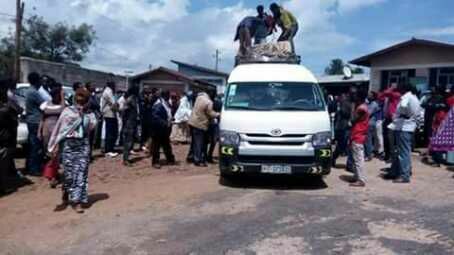 ‪#‎OromoProtests‬ ALERT: We are hearing ongoing mass killing including assassination of prominent businessmen in Awaday and other Oromo towns. It is very hard to fully verify what we hear via telephone as internet is completely shut off in Ethiopia, and electricity is cut off from most towns in Oromia. The whereabout of hundreds of university lecturers, doctors and businessmen is unknown by their parents. A prominent businessman named Sheko was assassinated by the military in his own home in Aawaday. If the influx of information is confirmed, a systematic ethnic cleansing, if not genocide is being committed against the Oromo. The Oromo around the world must be prepared to hear the worst and respond in kind. For more click here at: Oromia: Alert! Crimes against humanity: Mass torture and killings are going on against Oromo people in Ethiopia. Four Oromo youth from Fincha, Horro Guduru: Zarihun Raggassa, Wakjira Gaddisa, Meseret Tilahun (female), and Alemu Likkisa were taken to hospital on the 6th of December 2015, with life-threatening wounds and injuries from shots and assaults; and no words regarding their situations since then. The unarmed and defenseless Oromo students are facing extreme and fatal brutalities (see below) while staging peaceful protests to seek answers to their legitimate questions regarding the expansion of the city of Addis Ababa without the consultations and consents of the local people, which is likely to cause the evictions of millions of Oromo farmers from their livelihoods. Although there are no confirmed fatalities at this point, about 200 children from Sululta High School, Northern Showa, have been rushed to St. Paul Hospital in the Capital, Addis Ababa, on the 6th of December 2015, after being poisoned in a classroom with yet unknown chemical that was sprayed into the air by the security forces. Innocent children and youth are being shot at and killed, threatened with mass murders with poisonous chemicals just while attempting to exercise their fundamental rights within the limits of the provisions of both the federal and regional constitutions. The biggest of all ironies is that forces like the federal military, the federal and the regional police, who were established and hired to defend the constitutions of all levels are instead engaged in violating and breaking such legal provisions intended to protect the citizens. The Human Rights League of the Horn of Africa is receiving continuous and credible reports from different corners of the Regional State of Oromia in Ethiopia that members of TPLF special squad of the Agazi Force as well as the police are taking such fatal actions and assaults in the open air in daylights in front of the local residents in order to terrorize, intimidate and harass the whole communities. The Human Rights League of the Horn of Africa (HRLHA) strongly believes that the Ethiopian Government’s cruel actions against humanity, against its own citizens, are purely genocidal. HRLHA would like to express its deep concerns that, given the situations witnessed in the past seven days, more human casualties could take place; and, therefore, calls for unconditional interference by the world communities in order that such extreme brutalities be stopped before inflicting further losses of lives and other human damages. The HRLHA is a non-political organization that attempts to challenge abuses of human rights of the people of various nations and nationalities in the Horn of Africa. It works to defend fundamental human rights, including freedoms of thought, expression, movement and association. It also works to raise the awareness of individuals about their own basic human rights and those of others. It encourages respect for laws and due process. It promotes the growth and development of free and vigorous civil societies. HRLHA Urgent ActionDecember 05, 2015For Immediate ReleaseThe Human Rights League of the Horn of Africa expresses its grave concern at the continuation of gross human rights violations in Oromia Regional State, violations that have regularly occurred since 1991 when the TPLF/EPRDF came into power. The most recent heinous crime was committed- and is still being committed- against defenseless school children protesting against the approval of “the Addis Ababa Integrated Master Plan” by the Oromia Regional State Parliament a month ago. The peaceful protest involved many elementary school, high school, university students and civilians. Among them were students in Western Oromia zones, Najo, Nekemt, Mandi high schools and in other towns, in Central Oromia in Ginchi, Ambo, Addis Ababa high schools and the surrounding towns, Eastern and Southern Oromia zones, in Haromaya , and Bule Hora Universities and many more schools and universities. In violation of the rights of the citizen to peaceful demonstration enshrined in the Ethiopian Constitution Chapter two, article 30 (1) states “Everyone has the right to assemble and to demonstrate together with others peaceably and unarmed, and to petition. Appropriate regulations may be made in the interest of public convenience relating to the location of open-air meetings and ‘the route of movement of demonstrators or, for the protection of democratic rights, public morality and peace during such a meeting or demonstration” students in all of these places were severely beaten, imprisoned or even killed. The Human Rights League of the Horn of Africa emphasizes that the ongoing violence and crimes committed in Oromia Regional State for over two and a half decades by the TPLF perpetrators against the Oromo Nation amount to war crimes, and crimes against humanity- a clear failure of the Oromo People Democratic Organization (OPDO) authorities, an organization claiming to represent the Oromo Nation. The members of this bogus political organization have proved to be not the Oromo peoples’ true representatives, but rather stand-ins for their real masters who have compromised the interests of the Oromo Nation. The Oromia Regional State authorities/OPDO did not resist the TPLF regime when Oromo children, farmers, intellectuals, members of political organizations were killed, abducted, imprisoned, tortured and evicted from their livelihoods by TPLF security agents in the past two and half decades. Instead, they helped the TPLF regime to control the political and economic resources of the Oromia Regional State. TPLF high officials and ordinary level cadres in Oromia Regional State engaged in enriching themselves and their family members by selling Oromo land, looting and embezzling public wealth and properties in the occupied areas of the Oromo Nation, and committing many other forms of corruption. Committing atrocities and crimes against humanity are failures to comply with obligations under international law, international human rights law and international humanitarian law, including the principles of proportionality and discrimination. With many civilians suffering from the crimes and serious violations of human rights, and by not taking any measures to ensure the accountability of those responsible for these crimes and violations, it has become clear that after all these years the so called Oromia Parliament (Caffee Oromiyaa) has betrayed the Oromo people by not protecting them. The OPDO members and the Oromia Parliament (Caffee Oromiyaa) members should not continue in silence while Oromo children are brutalized by Aga’azy squads deployed by the TPLF for ethnic cleansing. The Oromia Parliament (Caffee Oromiyaa) and OPDO have a moral obligation to dissolve their institutions and stand beside their people to resist the TPLF regime’s aggression. The HRLHA believes that the gross human rights violations committed by the TPLF government in cooperation with OPDO in the past two and half decades against Oromo Nation have been pre-planned every time they have happened. TPLF regime security agents imprisoned, killed, tortured, kidnapped, disappeared, and evicted from their ancestral lands thousands of Oromo nationals, simply because of their ethnic backgrounds and to acquire their resources. The TPLF inhuman actions against Oromo civilians are clearly genocidal, a crime against humanity and an ethnic cleansing, which breach domestic and international laws, and all international treaties the government of Ethiopia signed and ratified. The Human Rights League of the Horn of Africa (HRLHA) expresses its deep concern over the safety and well-being of these Oromo nationals who have been arrested without any court warrant and are being held in different police stations, military camps, “Maekelawi” compound, the main federal police investigation center, in Central Addis Ababa and in different unknown places. Therefore, HRLHA calls upon governments of the West, all local, regional and international human rights agencies to join hands and demand an immediate halt to these extra-judicial actions, terrorizing civilians and the immediate unconditional release of the detainees. The HRLHA also calls on all human- rights defender non-governmental, civic organizations, its members, supporters and sympathizers to stand beside the HRLHA and provide moral, professional and financial help to bring the dictatorial TPLF government and officials to international justice. 48 Kairaba Avenue, P.O.Box 673, Banjul, The Gambia.